He repeatedly taught that God is forgiving and draws people to himself. Jesus presented himself as the Savior of the world and said whoever believes in him will have eternal life. Christ followers should put him first in their life above everything else. One of the ways people would recognize Christians is the way they love one another, Jesus said. Love was a constant theme throughout Jesus' teachings. In his contacts with others, Christ was a compassionate healer and a sincere listener. Certainly his genuine love for people was his most magnetic quality. Loving others, especially the unlovable, is the greatest challenge for modern disciples, yet Jesus demands we do it. Being selfless is so difficult that when it is done lovingly, it immediately sets Christians apart. Christ calls his disciples to treat other people with respect, a rare quality in today's world. The disciple of Christ lives to glorify God. Bearing much fruit, or leading a productive life, is a result of surrendering to the Holy Spirit. That fruit includes serving others, spreading the gospel, and setting a godly example. Often fruit is not "churchy" deeds but simply care for people in which the disciple acts as Christ's presence in another's life. One of the key duties of discipleship is to bring the good news of salvation to others. That does not require a man or woman to personally become a missionary. They can support missionary organizations, witness to others in their community, or simply invite people to their church. Christ's church is a living, growing body that needs the participation of all members to stay vital. 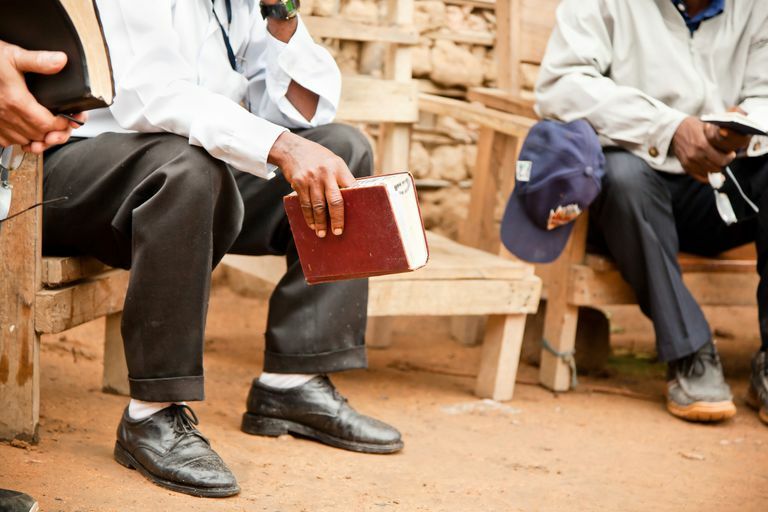 Evangelizing is a privilege. The Ten Commandments warn believers against lukewarmness toward God, against violence, lust, greed, and dishonesty. Living contrary to society's trends may result in persecution, but when Christians face mistreatment, they can count on the help of the Holy Spirit to endure. Today, more than ever, being a disciple of Jesus is counter-cultural. Every religion seems to be tolerated except Christianity. Jesus' twelve disciples, or apostles, lived by these principles, and in the early years of the church, all but one of them died martyrs' deaths. The New Testament gives all the details a person needs to experience discipleship in Christ. What makes Christianity unique is that disciples of Jesus of Nazareth follow a leader who is fully God and fully man. All other founders of religions died, but Christians believe that only Christ died, was raised from the dead and is alive today. As the Son of God, his teachings came directly from God the Father. Christianity is also the only religion in which all the responsibility for salvation rests on the founder, not the followers. Discipleship to Christ begins after a person is saved, not through a system of works to earn salvation. Jesus does not demand perfection. His own righteousness is credited to his followers, making them acceptable to God and heirs to the kingdom of heaven.